I’m always captivated by an inspirational sunset. Heck, most of us are but what about moody, broody and ever so slightly ‘dark’ ones? The ones that are less whimsical and more visually striking because of their slightly threatening appearance? 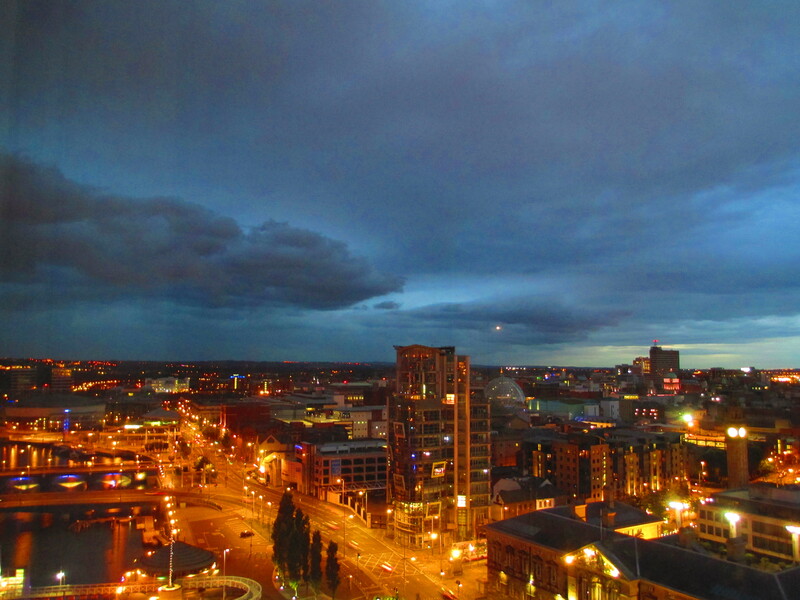 I was sitting in my apartment (in Belfast city centre) minding my own business (for a change) when I caught sight of a bunch of menacing clouds. Naturally, I grabbed my camera. 50 photos later and I’ve narrowed them down to these two. These have not been doctored in any way (as a result you might see the odd reflection from my window). The only setting I chose on my trusty camera was ‘low light’ which does represent the general lighting/environment conditions very accurately. 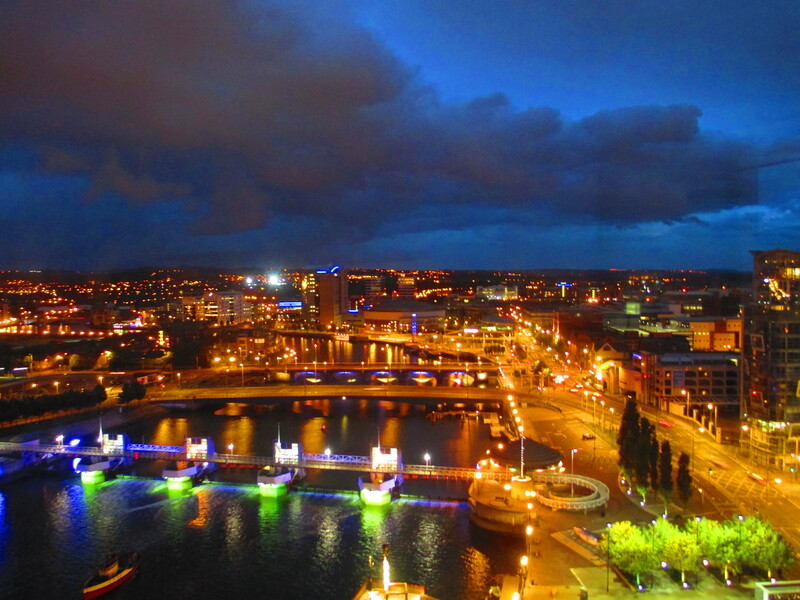 Does Belfast have a dark side? I think that’s a resounding ‘yes’. But what a beautiful dark side it is. By the way, the little glimmer of light you can see in the sky in the first photo is the light of a plane, not the flash of my camera!